Rectory Barn01263 715779work01603 870304fax Self-cateringRectory Barn, converted and on two storeys, is situated in Bracon Ash, a village eight miles south of Norwich in Norfolk. The property is an ideal place to explore the attractions of the Norwich, the Norfolk Broads and nearby is Wymondham a market town with shops, bars and restaurants. Other activities locally include fishing, golf and horse riding. 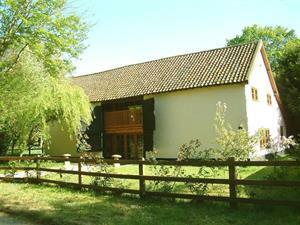 Rectory Barn, converted and on two storeys, is situated in Bracon Ash, a village eight miles south of Norwich in Norfolk. The property is an ideal place to explore the attractions of the Norwich, the Norfolk Broads and nearby is Wymondham a market town with shops, bars and restaurants. Other activities locally include fishing, golf and horse riding.